It’s safe to say that Patrik Laine is the real deal. 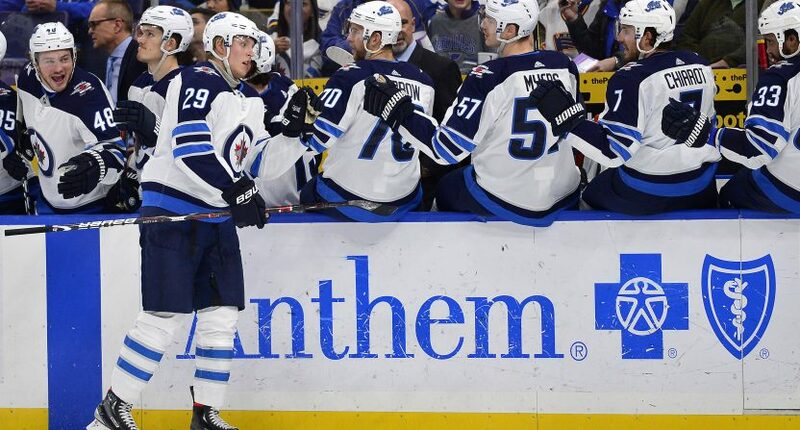 The 20-year-old Winnipeg Jets’ winger scored five goals on Saturday night against the St. Louis Blues. Yes, *five* goals, in one game. And he did so in only five shots. That’s quite efficient! Laine becomes the first NHL player to score five goals in a game since Johan Franzen did so in 2011. The last five-goal game in the NHL before Patrik Laine tonight: Johan Franzen in 2011. And it caps off what has been an absolutely ridiculous November for Laine. This month, Laine has 14 goals, three hat tricks, and his 18 goals on the season now lead the NHL. And yes, the Jets beat the Blues, by the score of 8-4 (it would’ve been quite painful to lose a game where one of your players scores five goals).